You are a mammal. You are soft. Air touches your skin. Remember a hand on your cheek. Remember when fire was new and the cold rock we call the moon rested its memory in your chest. You are surrounded by moon angels. The planets, stars and space all want you to experience their beauty and protection. We are amidst an incredible fall, literal and figurative. Venus is working with us to help us transform on a potentially deep level. We’re crying, kicking and screaming for good reason. This kind of rage is positive, anger moves energy and drives revolutions. When the anger is coming from legitimate feelings of being hurt we can use it to build the foundation for our revolution. Venus, central to our current evolution is offering us gifts to work with this anger. I’ve been studying astrology with an astrologer, Rosie Finn I’ve long admired and learned from here in Olympia. Though I’m just a beginner at astrology, I’m pairing it with my learnings from the Sefer Yetzirah, a mystical Jewish text. I hope my beginner mind paired with my priestess training can bring you practical magic to make real change. On October 5th, Venus went retrograde. We’re 11 days in! Unlike the Mercury retrograde which gets a bad rep (though not bad at all, depends on how you look at it), Venus retrograde helps us transform something big around our creative life, love life, sense of abundance, feelings of harmony, relationship with beauty and how we share our gifts with the world. Venus wants us to evolve, to meet her. According to esoteric astrology, Venus is an enlightened planet and Earth is in the process of becoming enlightened. Venus hangs out near us in the solar system to help us evolve and meet her evolutionarily. According to mystical Jewish thought, Venus is associated with the letter kaf, Friday, the directions of up (which makes sense in terms of evolving towards the stars) and I also personally think, down (which also makes sense for integration), grace, love, lust, children and fruitfulness or, abundance. All very similar to mundane astrology (the common astrology we see in most media). The time leading up to October 5th, Venus was moving forward, bringing up issues that we now have the opportunity to transform during the retrograde. We are deep in the transformation at this point. Because Venus began the retrograde in Scorpio, the depth of our stuff was being revealed. Collectively we are seeing this as the #Metoo movement founded by Tarana Burke amped up (and will continue to for quite a while). Make an intention for what you want to get out of this time. Pick a card from the Moon Angels deck to guide your intention (or another deck). Then, make a list/journal about what’s getting in the way of you manifesting your beautiful truths. Put it on an altar dedicated to Venus: think red, silver, things you associate with beauty, love, grace and money or abundance. Focus some time every day, even just a few minutes on letting these things slip from your body into the earth to be transformed. Your body will be in collaboration with the earth body (which is you) on our evolution to enlightenment. 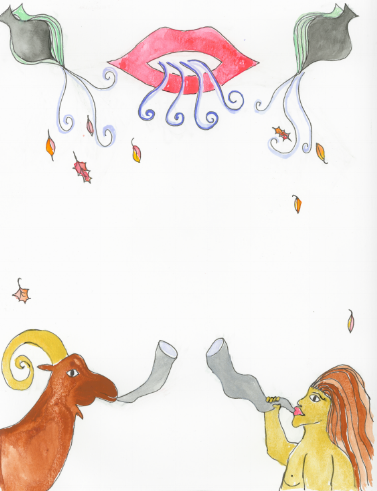 At the end of the first 21 days (of the retrograde), October 24th during the full moon in Aries which is the ram, blow the shofar (ram’s horn), inviting your breath and the ram to move into the action. Or, make a deep sound into your pillow or let out an intentional deep breath to transmit the energy to the earth. A ritual where you burn what you are letting go of will also be in order. Burn rosemary and cedar and other plant allies to help transform these things, floating them up into the air, up to the stars. Within the next couple days you can begin your next ritual (I’ll post another ritual next week before the full moon which will also include how to work with the shadow energy of Venus, when she is not visible to our sight. The second half of the retrograde you will be focusing on what you want to bring in. The depth of this retrograde falls during Samhain and the dark time of the year, when the veil is thin and the ancestors are nearby. They really want to work with us for this transformation! I realize it may seem counterintuitive to do a releasing ritual while the moon is becoming full but the energy of Venus in the first few weeks of her retrograde supports this. Think about as saying no, is saying yes.